No Gimmicks. Just a range of products at flat 50% off. Beautiful designs made with precision for great results! 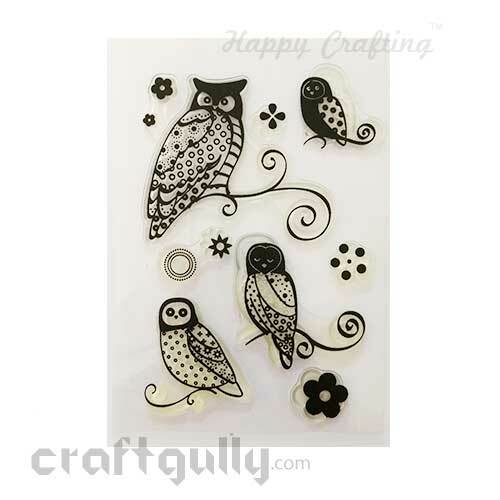 Make cards, tags, gift wraps, DIY home decor and much more with these handpicked clear stamps.No of Stamps: 8Pack Size: Approx 4 x 6 inches True color/s may vary slightly from what you see on your screen..
Beautiful designs made with precision for great results! 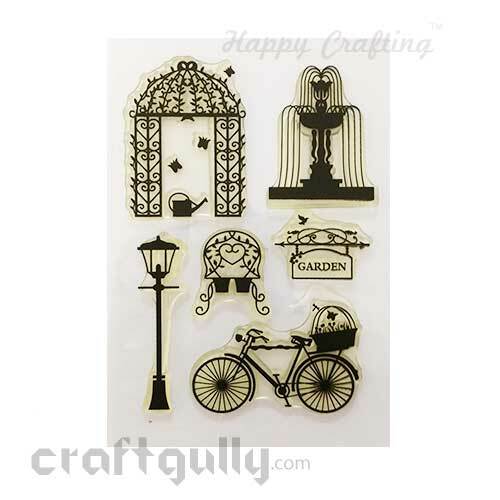 Make cards, tags, gift wraps, DIY home decor and much more with these handpicked clear stamps.No of Stamps: 9Pack Size: Approx 4 x 6 inches True color/s may vary slightly from what you see on your screen..
Beautiful designs made with precision for great results! Make cards, tags, gift wraps, DIY home decor and much more with these handpicked clear stamps.No of Stamps: 6Pack Size: Approx 4 x 6 inches True color/s may vary slightly from what you see on your screen..
Beautiful designs made with precision for great results! 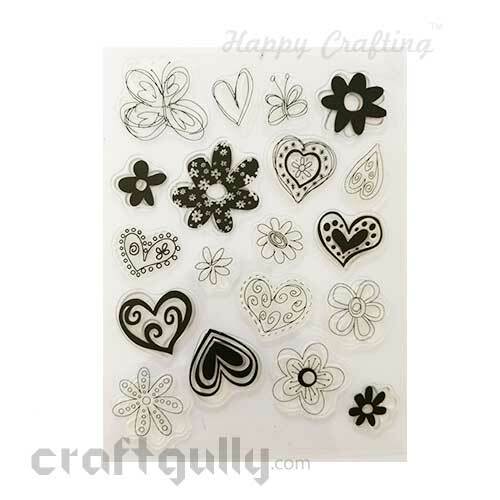 Make cards, tags, gift wraps, DIY home decor and much more with these handpicked clear stamps.No of Stamps: 15Pack Size: Approx 6 x 8 inches True color/s may vary slightly from what you see on your screen..
Beautiful designs made with precision for great results! Make cards, tags, gift wraps, DIY home decor and much more with these handpicked clear stamps.No of Stamps: 10Pack Size: Approx 6 x 8 inches True color/s may vary slightly from what you see on your screen..
Beautiful designs made with precision for great results! Make cards, tags, gift wraps, DIY home decor and much more with these handpicked clear stamps.No of Stamps: 26Pack Size: Approx 6 x 8 inches True color/s may vary slightly from what you see on your screen..
Beautiful designs made with precision for great results! Make cards, tags, gift wraps, DIY home decor and much more with these handpicked clear stamps.No of Stamps: 9Pack Size: Approx 6 x 8 inches True color/s may vary slightly from what you see on your screen..
Beautiful designs made with precision for great results! 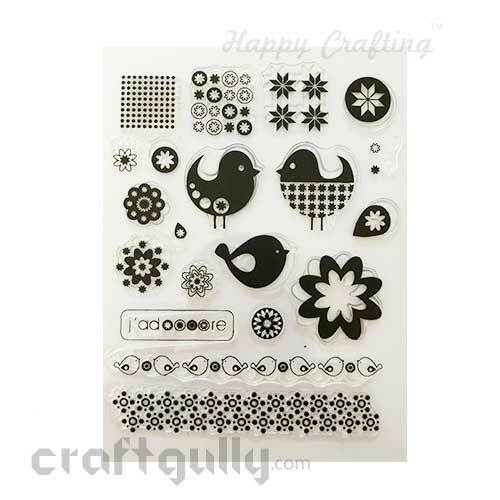 Make cards, tags, gift wraps, DIY home decor and much more with these handpicked clear stamps.No of Stamps: 18Pack Size: Approx 6 x 8 inches True color/s may vary slightly from what you see on your screen..
Beautiful designs made with precision for great results! 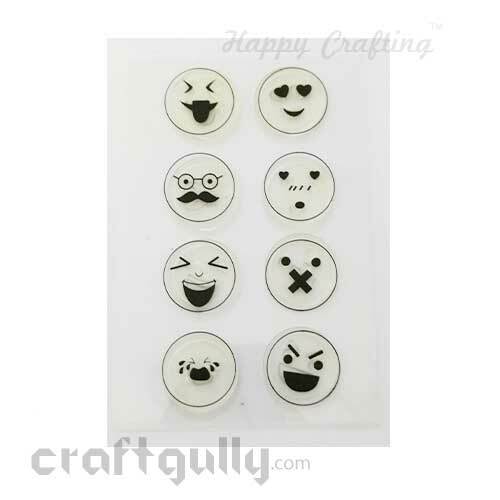 Make cards, tags, gift wraps, DIY home decor and much more with these handpicked clear stamps.No of Stamps: 19Pack Size: Approx 6 x 8 inches True color/s may vary slightly from what you see on your screen.. 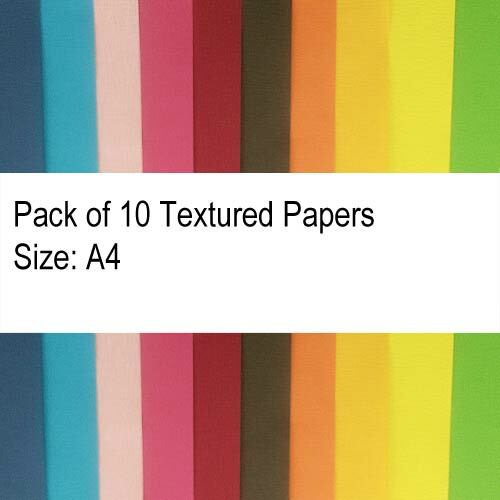 The complete guide to cutting paper for artworks, greetings cards, keepsakes, and more. The appeal of papercutting is that anyone can try it, the equipment is cheap, and the results are stunning. All you need is practice to perfect the art. 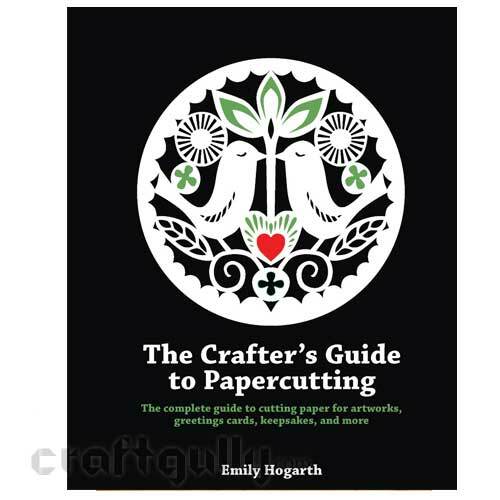 This beautiful book will introduce you to the world of papercutting and show you how to create your own exquisite works of art. Beginners will have all the knowledge they need to get started: from basic techniques to creative step-by-step projects. It's also a great resource for the more advanced papercutter: materials, techniques, and inspirational projects all feature. Learn about the history of papercutting and be inspired by the work from many international papercutting artists. This is an imported edition Author: Emily Hograth Publisher: Search Press (UK) Binding: Paperback Number of pages: 144 Pages ISBN-13: 9781844488957..
Get creative with our textured foam sheets. 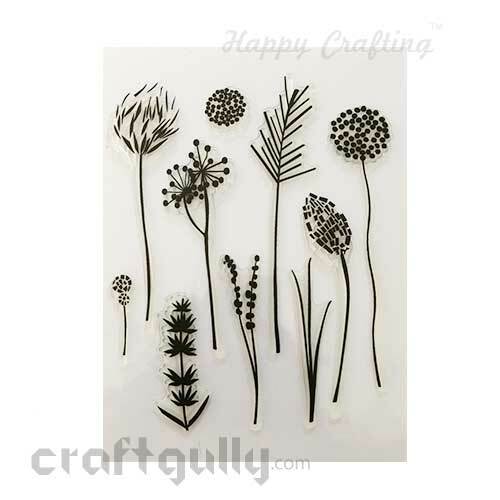 Use them for a dimensional look while scrapbooking, cut into shapes and pair them with our range of embellishments for craft projects, use them as base texture for cards … easy to cut and mess free, the only limit is your imagination. Size: Approx. A4 Thickness: Approx. 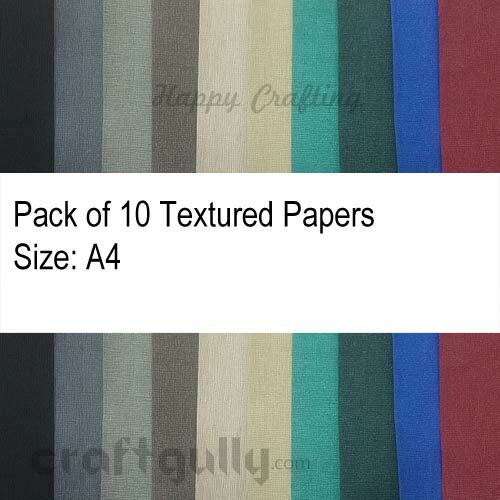 2mm Quantity: Set of 4 textured foam sheets, each a different colour True colors may vary slightly from what you see on your screen.. Exquisite designs anyone can make using origami, kirigami, and quilling. Capture the perfect geometry and delicate beauty of stars, snowflakes, and sunbursts in paper. This beautiful book explains all the techniques you need to create 75 exquisite shapes. You can cut, fold, and curl your very own blizzard or galaxy! The core techniques of origami, kirigami, and quilling are clearly illustrated with step-by-step photographs. 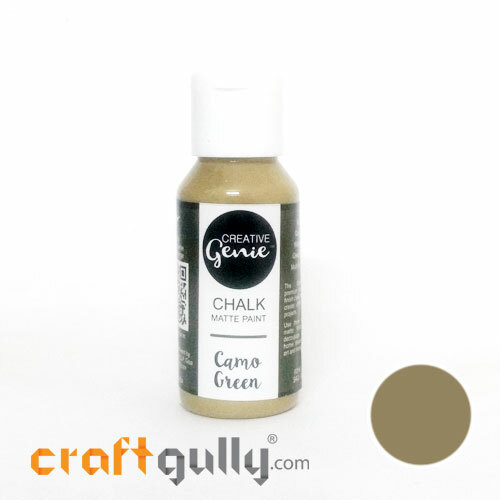 Each design includes detailed written instructions, helpful hints, and templates where required. Also features inspirational ideas for finished projects. All three shapes look beautiful taped to windows or hung from a Christmas tree, but they can also decorate gifts and note cards, be used in appliqués or stencils, or even be transformed into exquisite jewellery This is an imported edition Author: Shannon Voigt Publisher: Search Press (UK) Binding: Paperback Number of pages: 144 Pages ISBN-13/ EAN: 9781844489657.. This book is an entry-level introduction to the ancient art of paper folding. This book demonstrates the enormous number of ways to use paper folding in order to get beginners started on these beautiful projects, keep them interested and set their creativity alight. 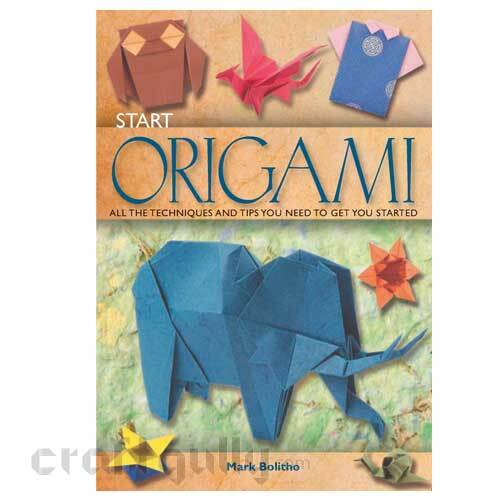 Start Origami begins with a brief history of origami followed by a guide through useful tools and equipment. The reader is given understanding of what it is possible to create using various origami papers. Shown in simple stages of how to fold and create paper models the projects include; cat, dog, flower, the classic crane with its flapping wings, a frog, a lantern and a star. Increasing in complexity these projects are chosen to build confidence and skill. Each project is shown step by step with clear diagrams and reference to all the basic techniques and instructions. The finished pieces are beautifully photographed. This is an imported edition Author: Mark Bolitho Publisher: Search Press (UK) Binding: Paperback Number of pages: 96 Pages ISBN-13/ EAN: 9781844487387..